The unique Quiet Drive Motor works without belts or gears reducing vibration and noise, making the washer quieter and more durable. Samsung guarantees to deliver a peaceful and quiet washing. 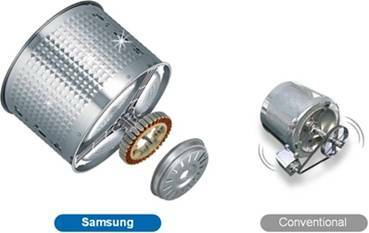 Samsung’s Quiet Drive Motor makes no high frequency noise and less rough sound. With this great motor, you can do the laundry quietly and peacefully even at night.